The Marathon Roller of Montreal was held on Saturday at the PMG Technologies track in Blainville. The venue was perfect for skaters to showcase their speed and fitness in beautiful sunny conditions. Skaters from across Canada and the U.S.A. made their way to the start line. With serious racers as well as skaters ready to set personal best time and enjoy skating, the event organizers put together a good event. 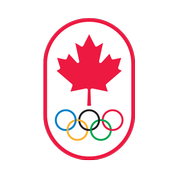 Rising among strong competition, Quebec provided the winners in the marathon- 2010 Olympic Gold Medalist Olivier Jean and Pan American Games skater Martine Charbonneau.